How to equip yourself for ski touring ? Not all ski-touring skiers have exactly the same practices and expectations. Some people prefer to go downhill, in this case they opt for heavier equipment, in contrast to climbers who prefer lighter equipment, but who are more difficult to handle for the downhill. Don't take skis that are longer than your size because the longer a ski is, the less maneuverable it is! It is necessary to be able to take turns with sometimes very short radii, in heavy snows, between trees etc.. On average, choose 10 cm less than your waist. Nowadays the widths are increasing, which compensates widely, and facilitates the use in heavy or deep snows. The main differences with alpine skis are the weight and curvature. The alpine skiing is too heavy and the difference between the skate and the spatula is very important, which makes it not well adapted to the discipline. sky touring skiing is an equipment adapted to a specific practice that requires a review of its entire structure. If you prefer downhill skiing, some "all mountain" or "free ride" skis may be suitable, but beware of weight. The new French brand V-Quest offers 2 types of skis: the AVATARA, type All-mountain and the AEROQUEST, type Race. There are two main types of fasteners: with or without inserts. The former require shoes fitted with inserts (the metal lugs of the binding are inserted into these inserts at the front of the shoe). 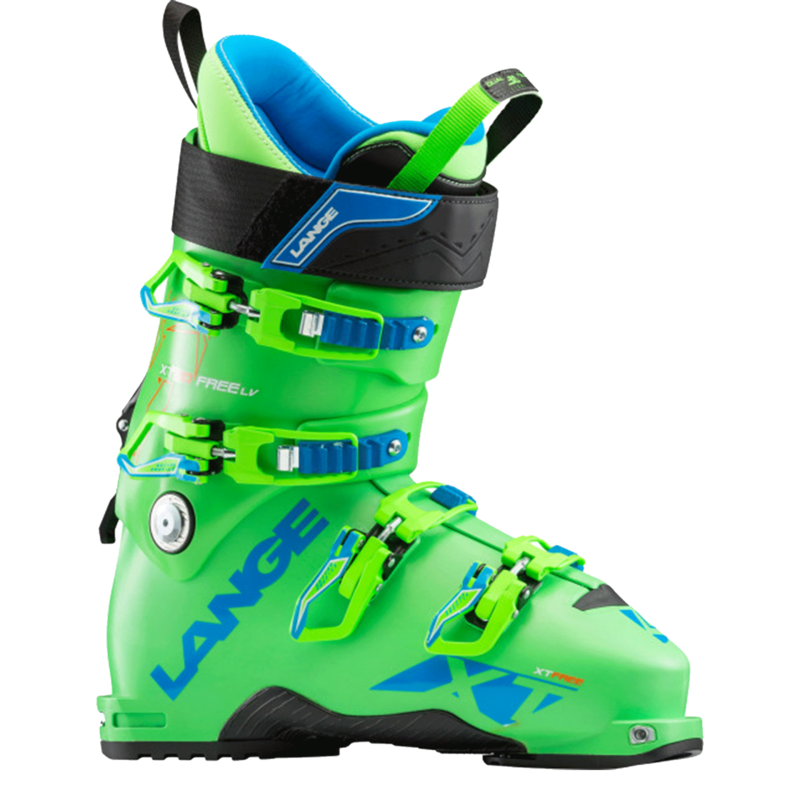 Seconds are articulated bindings that hold the boot at the front and rear like alpine ski bindings (but with articulated system). 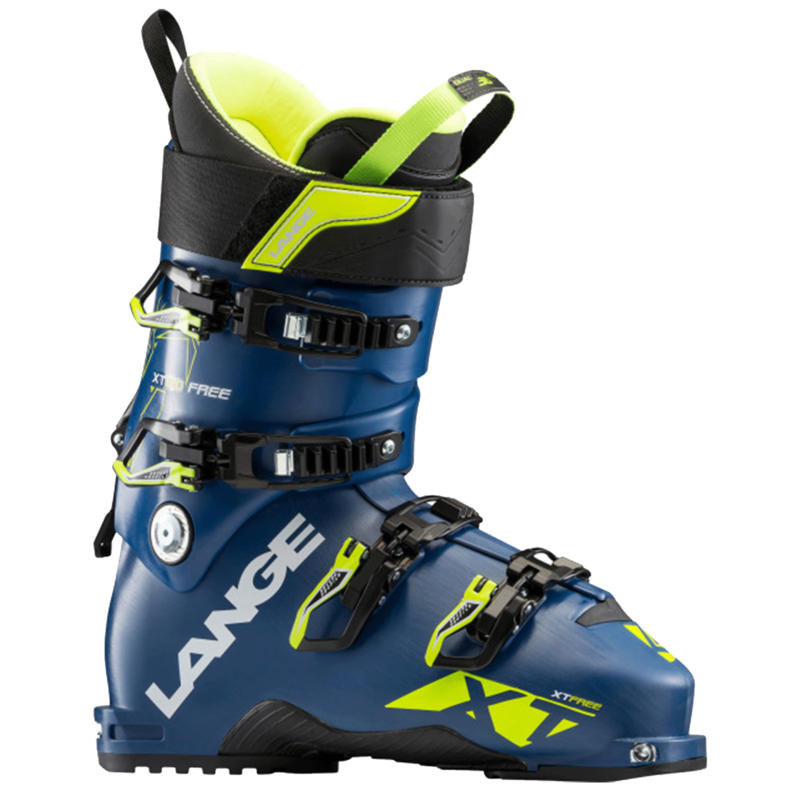 Almost all manufacturers nowadays put inserts on sky touring ski boots. Make your choice of bindings according to your practice, your budget. In almost all cases these fasteners are DIN approved, so they ensure a safety release in the event of a fall. The reference brands in the fastener sector include DIAMIR, a guarantee of quality and experience, and PLUM, the French brand that stands for the highest quality and reliability. It is an important component, it will determine the level of comfort and ease, both when climbing and descending. A shoe with limited ankle mobility will make climbing more difficult. In addition to the risk of blisters, it is at the level of conversions, passages in slopes and steeper portions that you will spend more energy at the expense of pleasure. A few small advances in your downhill technique will quickly make you forget shoes that are less effective in downhill because they are softer. But don't panic, manufacturers have been making real progress in recent years to offer models that are very light and just as easy to use when descending. If there is one item on which you should not save money, it is shoes. SCARPA shoes offer a very wide range of technical and comfortable shoes. The sensations felt during ascents, breaks or descents are often very different. The skier regularly removes or puts back a layer of clothing on the way up, down or at rest. For the body, a long-sleeved underwear made of breathable material directly on the skin helps protect itself, such as Altus Made in France for example. You can add a small fleece jacket or a sleeveless windproof jacket as an intermediate layer. Whatever the weather conditions, you must have a waterproof jacket to avoid any eventuality. Above all, it is indispensable in descent. Depending on the season and/or weather conditions, choose pantyhose and trousers or overalls with a membrane on top (the Windy Spirit from VERTICAL is best known for its MP+ membrane). Weather and weather permitting, wear only trousers. For the head, a cap or a fleece headband, a neoprene mask can be useful in extreme conditions; a cap or scarf to protect from the sun. Wear only one pair of warm socks, but not too thick (especially not cotton, which stays wet and does not dry! A spare pair of gloves is not an unnecessary luxury. A light one for the effort of the climb and a warmer one for the descent. Avoid mittens: hot, but less practical. The wearing of helmets is beginning to develop in sky touring skiing, it is essential for ski touring enthusiasts. Just what it takes, but all it takes! Today manufacturers offer light and reliable equipment. You must absolutely equip yourself with a backpack whatever the chosen objective. The choice of bag may vary depending on the duration or difficulty of the trip. During an outing lasting half a day, a day or more, you must be able to store spare clothing, food, drink and especially safety equipment inside the bag. Choose a sturdy model and avoid gadgets that are often fragile. Choose a good back support and the comfort of the straps. The capacity of the bag can vary from 20 to 45 litres so that all your equipment can be stored inside, including the shovel. Ski racks are indispensable as well as the ice pick holder. The immense joy of sky touring skiing has always run up against the risk of avalanche. Against this phenomenon, the hiker will have to act quickly, and can only count on the help of his fellow hikers. Statistics show that a buried person must be taken out in less than 15 minutes. It is totally out of the question to be able to count on any external assistance whatsoever. Only one solution: training in tryptic DVA, shovel, probe. An Avalanche Victims Detector, also referred to by its acronym DVA, is indispensable during a ski touring trip because of its rapid implementation in the event of an avalanche. This electronic device, the size of a walkman, connects all hikers to each other by a radio signal. By default in the "transmit"position, hikers trained in its use move it to the "receive" position to locate avalanche victims and rescue them. The VAD can be used to find the approximate position of the victim, but this is not enough. The probe will make it possible to refine the result, to determine the location with certainty, but above all to know the depth of burial, which will give you an idea of the size of the hole to dig. Its minimum length is 240 cm. Then why do we have to do without it? -Regular training in the handling of the apparatus: in the event of an avalanche, stress does not help, you will need to have the reflexes that save you. -A survival blanket is never too much in a backpack! Because being autonomous with your safety equipment is essential, Les Espaces Ski de Rando® offers ABC ski courses for sky touring skiing, DVA 1 and DVA 2 to live your passions while limiting the risks. 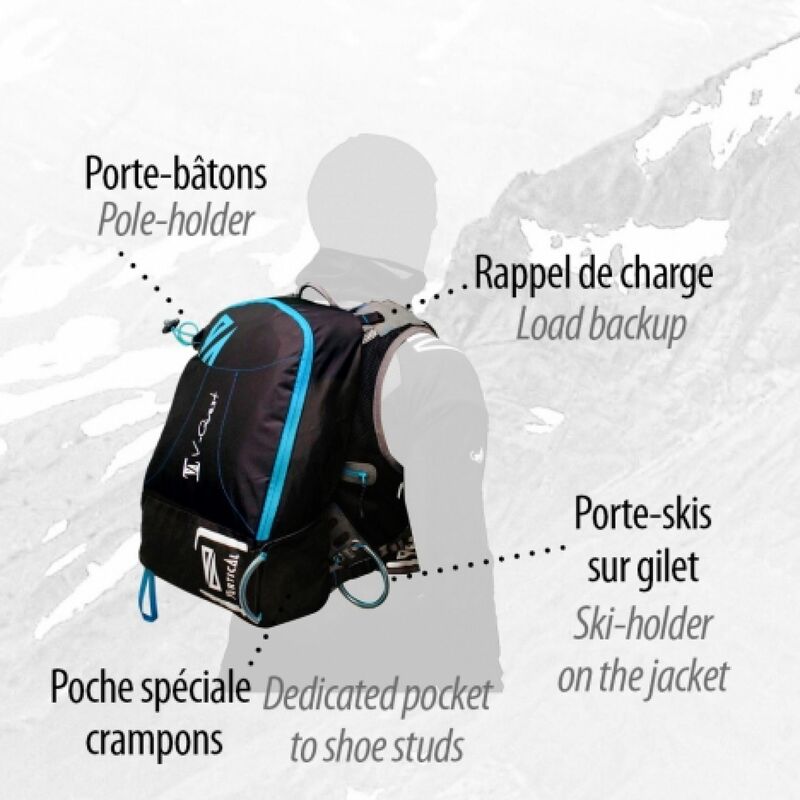 For more than 25 years, the French brand Vertical, specialist in equipment (clothes and backpacks) for sky touring skiing and light hiking, has conquered the world's most prestigious summits and the heart of demanding mountaineers. 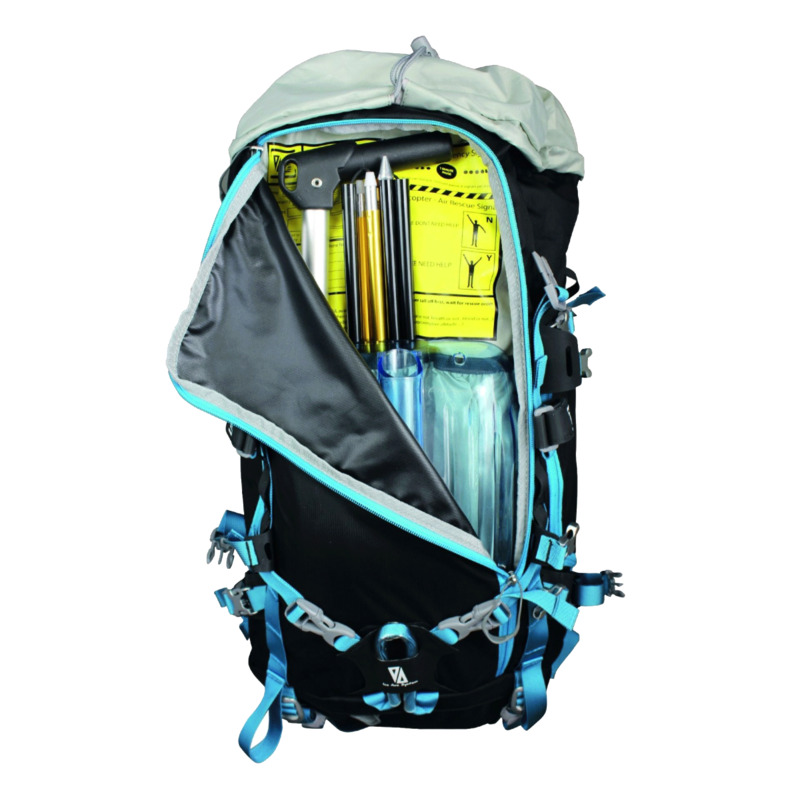 Our mountain equipment is attractive because it meets above all technical requirements, which are indispensable for activities such as ski mountaineering, trekking, trekking and trekking, but also provides comfort for all hiking and long-distance hikes. The function is at the origin of every detail, be it lightness, breathability or simply comfort. All these elements are essential to guarantee you the pleasure of each outing, whether it is in sky touring skiing, high road skiing, competitive mountaineering or simply hiking and walking. Today, the Vertical adventure continues, with the same product philosophy: innovative, light and different for mountain activities. Ne prenez pas de skis d’une longueur supérieure à votre taille car plus un ski est long moins il est maniable ! Il faut pouvoir prendre des virages aux rayons parfois très courts, dans des neiges lourdes, entre les arbres etc. En moyenne, optez pour 10 cm de moins que votre taille. De nos jours les largeurs augmentent, ce qui compense largement, et facilite l’utilisation dans des neiges lourdes ou profondes. Les principales différences avec le ski alpin, c'est le poids et la courbure. Le ski alpin est trop lourd et la différence entre le patin et la spatule très importante, ce qui le rend peu adapté à la discipline. Le ski de randonnée est un matériel adapté à une pratique spécifique qui demande de revoir toute sa structure. Si vous privilégiez la descente, certains skis "all mountain" ou "free ride" peuvent convenir, mais attention au poids. Marque pionnière sur le développement de skis spécifiques pour la randonnée, Dynastar saura vous combler avec son offre Touring. Il existe deux principaux types de fixations : avec ou sans inserts. Les premières requièrent des chaussures pourvues d’inserts (les ergots métalliques de la fixation viennent s’insérer dans ces inserts à l’avant de la chaussure). Les secondes sont des fixations articulées qui tiennent la chaussure à l’avant et à l’arrière comme les fixations de skis alpin (mais avec système articulé). De nos jours presque tous les fabricants mettent des inserts sur les chaussures de ski de randonnée. Faites votre choix de fixations en fonction de votre pratique, de votre budget. Dans presque tous les cas ces fixations sont admises à la norme DIN, donc elles assurent un déclenchement de sécurité en cas de chute. Marque-référence dans le domaine des fixations, Look propose Superlight 12 pour les adeptes du gain de poids, HM-12 pour une pratique Free Rando. C’est un composant important, c’est lui qui va déterminer le niveau de confort et d’aisance, à la montée, comme à la descente. Ne négligez pas la montée ! Une chaussure qui offre peu de mobilité au niveau de la cheville rendra la montée plus difficile. Outre le risque d'ampoules, c'est au niveau des conversions, des passages en dévers et des portions plus raides que vous dépenserez plus d’énergie au détriment du plaisir. Quelques petits progrès de votre technique de descente feront très vite oublier des chaussures moins efficaces en descente car plus souple. Mais ne vous affolez pas, depuis quelques années les fabricants font de réels progrès pour proposer des modèles très légers et tout autant faciles d’utilisation en descente. S’il y a un article sur lequel vous ne devez pas faire d’économie, ce sont les chaussures. 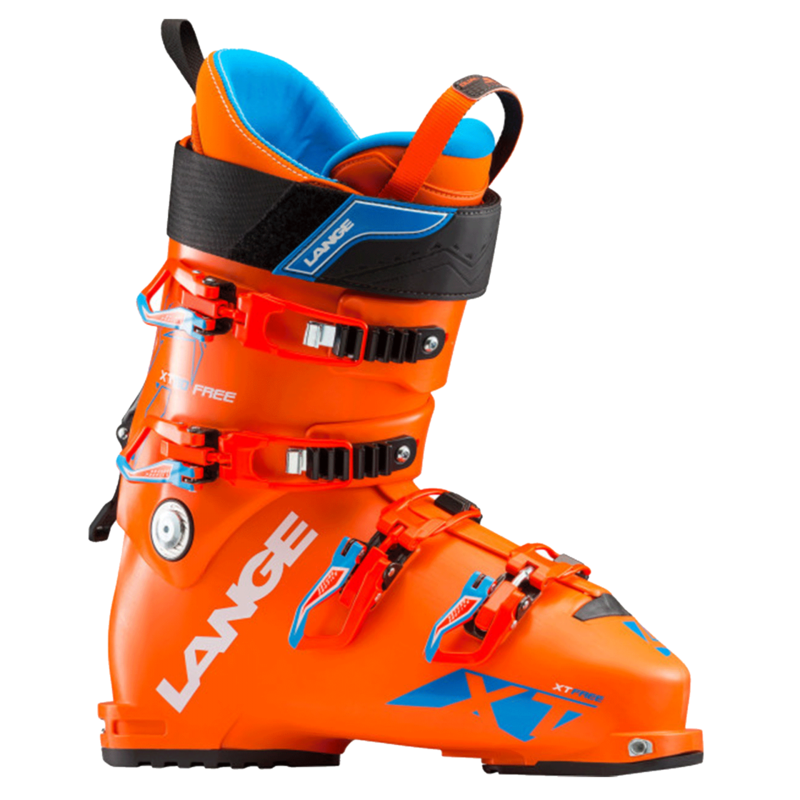 Résultat d'une fusion entre les pratiques Freeski et Freetouring, précises, confortables et performantes, les chaussures Lange sont adaptées à une pratique Free Rando, aux personnes qui favorisent la descente. Les sensations ressenties à la montée ou lors des pauses ou à la descente sont souvent très différentes. Le skieur enlève ou remet régulièrement une couche de vêtement qu’il soit à la montée, à la descente ou à l’arrêt. - une petite veste en fourrure polaire ou un gilet coupe-vent sans manches comme couche intermédiaire. - une veste imperméable, quelles que soient les conditions météo. Surtout, elle est indispensable en descente. Suivant la saison et/ou les conditions climatiques, optez pour le collant et le pantalon ou la salopette avec une membrane par-dessus (le Windy Spirit de VERTICAL est le plus réputé avec sa membrane MP+). Si la météo et la température le permettent, ne portez que le sur pantalon. Pour la tête, un bonnet ou un bandeau en fourrure polaire, un masque en néoprène peut être utile dans les conditions extrêmes ; une casquette ou un foulard pour protéger du soleil. Ne mettez qu’une seule paire de chaussettes chaudes, mais pas trop épaisses (surtout pas de coton, qui reste mouillé et ne sèche pas !). Concernant les gants, une paire de rechange n’est pas un luxe inutile. Une légère pour l'effort de la montée et une plus chaude pour la descente. Évitez les moufles : chaudes, mais moins pratiques. Le port du casque commence à se développer en ski de rando, il est indispensable pour les passages exposés aux chutes de pierres. Juste ce qu’il faut, mais tout ce qu’il faut ! De nos jours les fabricants proposent des matériels légers et fiables. Vous devez absolument vous équiper d’un sac à dos quel que soit l’objectif choisi. Le choix du sac peut varier suivant la durée ou la difficulté de la sortie. Au cours d’une sortie sur une demi-journée, une journée ou plus, vous devez pouvoir ranger à l’intérieur du sac des vêtements de rechange, de quoi boire, de la nourriture et surtout le matériel de sécurité. Choisissez un modèle plutôt robuste et évitez les gadgets souvent fragiles. Privilégiez un bon maintien du dos et le confort des bretelles. La capacité du sac peut varier de 20 à 45 litres pour que tout votre matériel se range à l’intérieur y compris la pelle. Les portes-skis sont indispensables ainsi que le porte-piolet. Le bonheur immense du ski de randonnée se heurte depuis toujours au risque d'avalanche. Contre ce phénomène, le randonneur devra agir vite, et ne pourra compter que sur l'aide de ses camarades d'infortune. Les statistiques montrent qu'il faut sortir une personne ensevelie en moins de quinze minutes. Cela exclut totalement de pouvoir compter sur une quelconque aide extérieure. Une seule solution : se former au triptyque DVA, pelle, sonde. Un Détecteur de Victimes d'Avalanches aussi désigné par son sigle DVA est indispensable lors d'une sortie en ski de randonnée de part sa rapidité de mise en oeuvre en cas d'avalanche. Cet appareil électronique de la taille d'un baladeur, relie tous les randonneurs entre eux par un signal radio. Par défaut en position "émission", les randonneurs formés à son utilisation le passe en position "réception" pour localiser les victimes d'avalanche et leur porter secours. Le DVA permet de rechercher la position approximative de la victime mais ce n'est pas suffisant. La sonde va permettre d'affiner le résultat, de déterminer la localisation avec certitude, mais surtout de connaitre la profondeur d'enfouissement, qui vous donnera une idée de la taille du trou à creuser. Sa longueur minimum est de 240 cm. Alors, pourquoi s'en passer ? - Une couverture de survie n'est jamais de trop dans un sac à dos ! Parce qu'être autonome avec votre matériel de sécurité est primordial, les Espaces Ski de Rando® proposent des formations ABC ski de rando, DVA 1 et DVA 2 pour vivre votre passion en limitant les risques. Depuis plus de 25 ans, la marque française Vertical, spécialiste de l’équipement (vêtements et sac à dos) pour le ski de randonnée et la randonnée légère, a conquis les plus prestigieux sommets du monde et le cœur des montagnards exigeants. Nos équipements de montagne séduisent car ils savent répondre avant tout à des exigences techniques, indispensables pour des activités comme le ski alpinisme, les treks, les trekpeak mais également source de confort pour toutes les randonnées et grandes randonnées. La fonction est à l’origine de chaque détail, que ce soit la légèreté, la respirabilité, ou tout simplement le confort. Autant d’éléments qui sont indispensables pour vous garantir le plaisir de chaque sortie, que ce soit en ski de randonnée, en Haute-Route, en ski alpinisme de compétition ou tout simplement en randonnée et balades. Aujourd’hui, l’aventure Vertical se poursuit, avec comme point d’orgue la même philosophie des produits : innovants, légers, et différents pour les activités de montagne.